Brad Jones Racing has been fined $5000 and penalised 30 teams’ championship points after its #14 car lost a wheel during a pit stop in Race 26 on the Gold Coast. The Freightliner entry spat out its right-rear wheel as Ash Walsh attempted to merge into the fast lane during the set of pit stops which took place under Safety Car at the end of Lap 23. The wheel bounced across the fast lane while the brake rotor also fell out of the Holden. Crew members had to hastily reapply the wheel in order to get go-jacks and push the car back to its pit bay. “Following a post-race DRD investigation in relation to Car #14’s pit stop during the Race and an admission by Brad Jones Racing of a breach of Rule A4.4 (Safety – Each Competitor is responsible for all safety aspects of the Team), the Stewards imposed a further penalty of a Fine of $5,000 and the Loss of 30 Teams Championships on Brad Jones Racing,” read the stewards summary. Car #14 had already been issued a drive-through penalty for an unsafe release as part of the same incident, as did Triple Eight’s #1 and #97 cars. Tim Slade and Walsh eventually finished 21st, three laps off the pace. There were no other penalties issued during the race despite several other incidents being investigated. 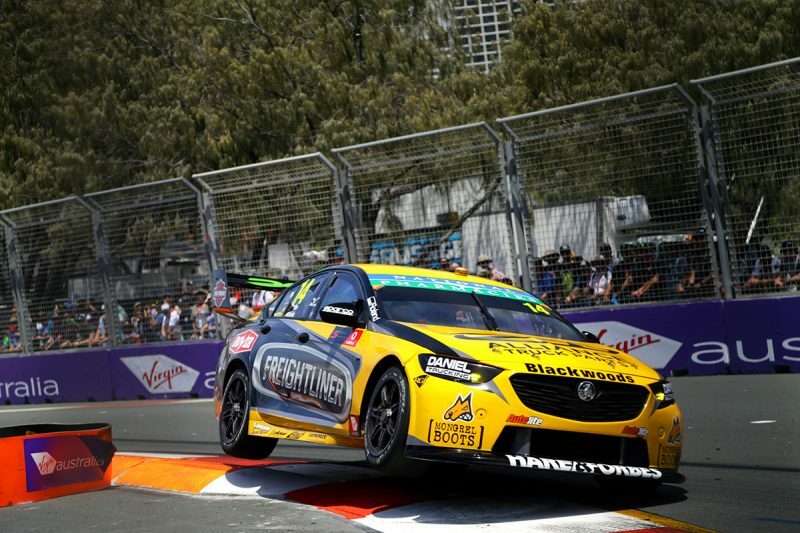 The most noteworthy of those was the Lap 2 incident between Paul Dumbrell and Alexandre Premat when Dumbrell tagged the then-race leader at Turn 12, causing Car #17 to slide into the tyre wall. Stewards determined during the race that no driver was wholly or predominately to blame. BJR remains fourth in the teams’ championship despite the sanction.